Posted on Mon, Sep 10, 2012 : 11:10 a.m. Recent Detroit-centric film releases have inspired the Michigan Theater programming staff to create a series called Motor City Movies: Discovering Detroit, which will run every Monday at 7 p.m. from Sept. 14 through Nov. 26. The series is presented by WEMU (89.1-FM). 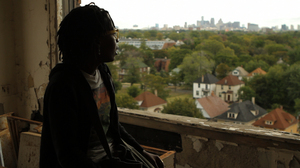 The series kicks off on Friday, Sept. 14, with a weeklong run of "Detropia," an award-winning documentary that expresses Detroit's desperation and hope through the grit and creativity of its people. "Detropia" filmmaker Heidi Ewing will make a live appearance on Sunday, Sept. 16 and answer audience questions after the 5 p.m. and 8:30 p.m. showings. The series continues with "Out of Sight" on Monday, Sept. 24, and "The Giant Mechanical Man" on Monday, Oct. 1. "We want this series to encourage people to look past Detroit's problems and focus on its beauty," said Michigan Theater Programming Manager Brian Hunter, in a press release. "For example, I don't see 'Out of Sight' as a crime film; I see it as Steven Soderbergh using Detroit to create what is arguably his best work." Visit michtheater.org/mcm for more details about Motor City Movies: Discovering Detroit. Regular movie prices apply.